The year 2009 started on a very 'unhealthy' note for me. 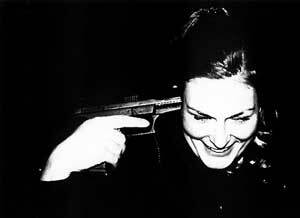 I got sick for several weeks and a mild sickness still continues. My appetite has reduced, I don't feel like cooking anymore and the worst part - now I sleep more than 7 hrs. Phew! I hope to get better soon. On a different note, as soon as I was done with AFAM roundup, I was planning to post this RCI: Awadhi roundup. I apologize for the delay, all thanks to my illness. But, 'Never the late', here I am with an impressive collection of entries sent by you all. Thanks dearies for your participation. Next entry is Varsha's 'Spinach dish', which is filled with healthy food thoughts & ideas with some of her childhood memories too. 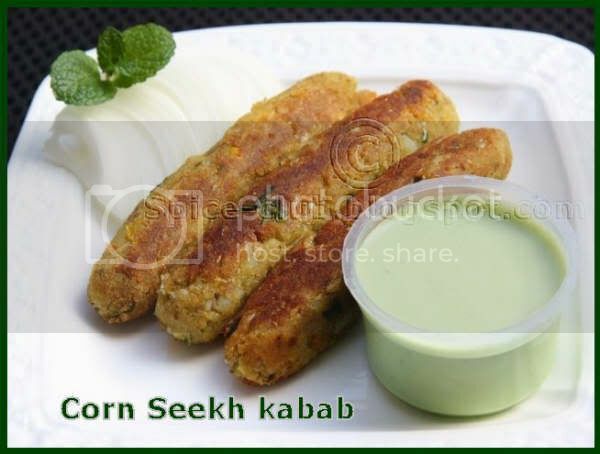 Cham, as always shares a yummy kebab recipe - 'Corn Seekh Kabab' served with yogurt dip. Now, that a killer combo, I must say. 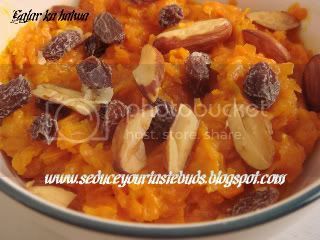 Meera, brings in a sweet touch with her 'Sheer Korma' also called as 'Zarda Seviyan'. A yummy sweet and a savory. Priya sends us both - 'Navratna Pulao' and 'Almond Kulfi'. What else do we need to satiate our hungry appetites. Huh!! 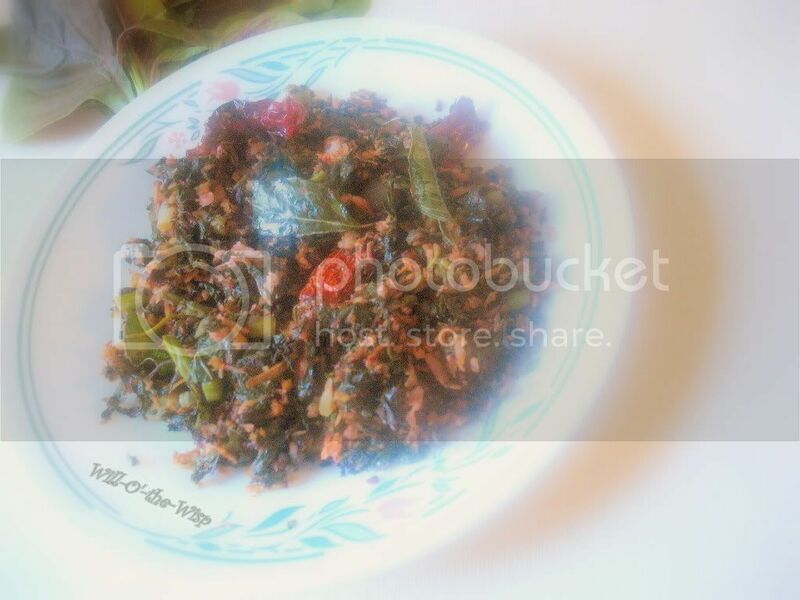 Its time to check out some spicy curries, sent by Vidhas. 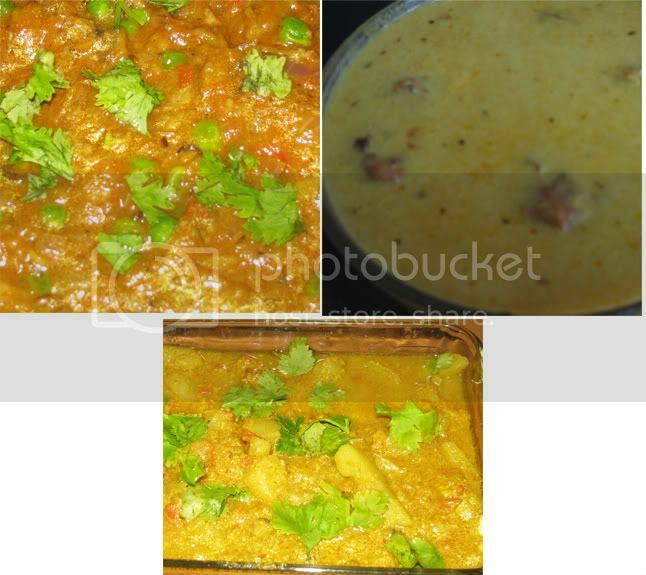 Whats in you ask - Baigan Ka Bhartha, Potato Kurma and Kadhi Pakodi. Yummy! 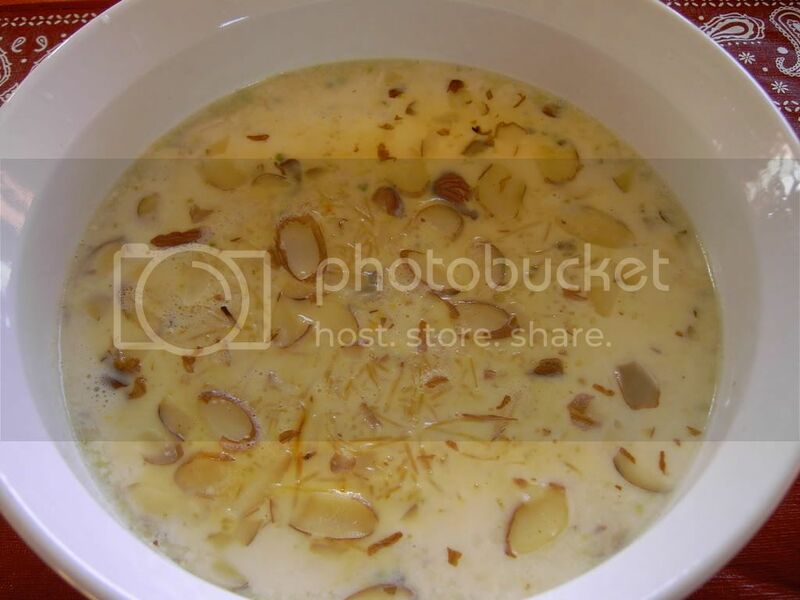 If you are in search of some yummy, yet simple Awadhi recipes, then check out what Ramki has shared with us - '10 Awadhi recipes' all in one page. Yeh!! Please do leave me a comment or email me, if I have missed any of your entries. Aw..!! So sorry about that. It's hard to have time full time job, come home to cook and blog and host too. I can understand how exhausting than can be for you. Rest whenever you get time! We all have cold virus at home too now! Hoping somebody would host Delhi cuisine! Take care Sri, round-up can wait and we too... Flu are very high season, we were all down too... We can understand ur hectic schedule. Nice job as usual. Hey Siri! Take care and stay healthy! 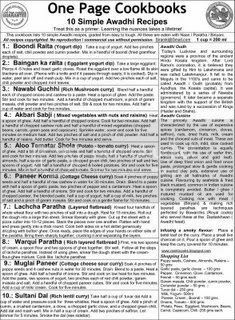 Awadhi cuisine sounds yummmm! 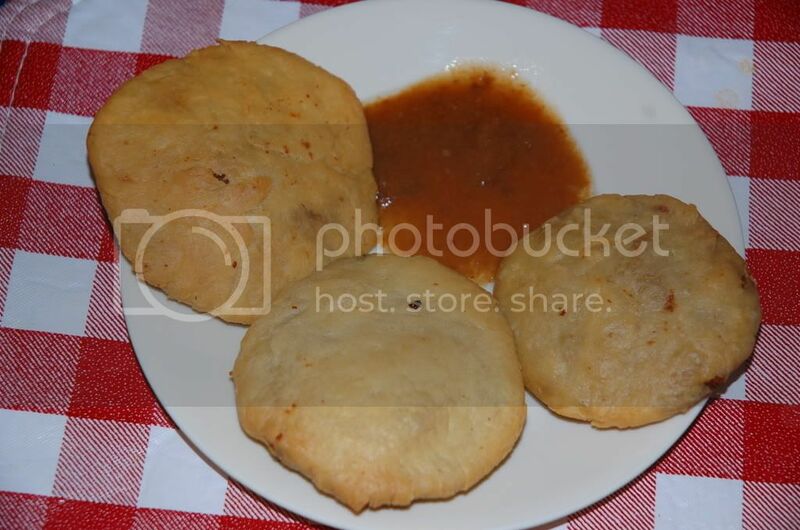 Would love to try the kachori! Is this a new template? Looks good:). Nice round up too! I missed this one - Awadhi is one of my favorite cuisines! Blog and round-ups can wait. Take care..
oyeeeeeee! Where's mine?? For the first time ever, I actually remembered to send you mail with the entries and for the first time, you actually forgot to add in mine!!!!! Hi Siri,That's a lovely roundup..Take care of ur health..
Dear Siri, thanks for the lovely round-up. I'm very to hear about your illness and hope you feel better now. Take care! Hi Siri, Hope you are feeling better now. Round up looks awesome. New look looks great. thats so bad to hear siri..hope you are better now...thats a lovely round up...good job girl! Lovely roundup Siri. I hope you are feeling better soon. I've had a rather rough start to 2009 myself. Wishing you well, hope you feel well soon. It must be a lousy feeling. 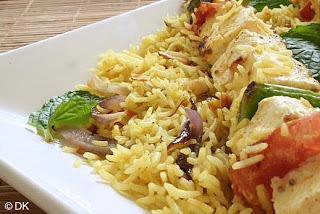 this is a great roundup with nice recipes. Hope you are doing well Siri. Love the new layout. Lovely roundup. Thanks so much guys. I am feeling much better now. and am glad you all liked the roundup. :)) cya soon. 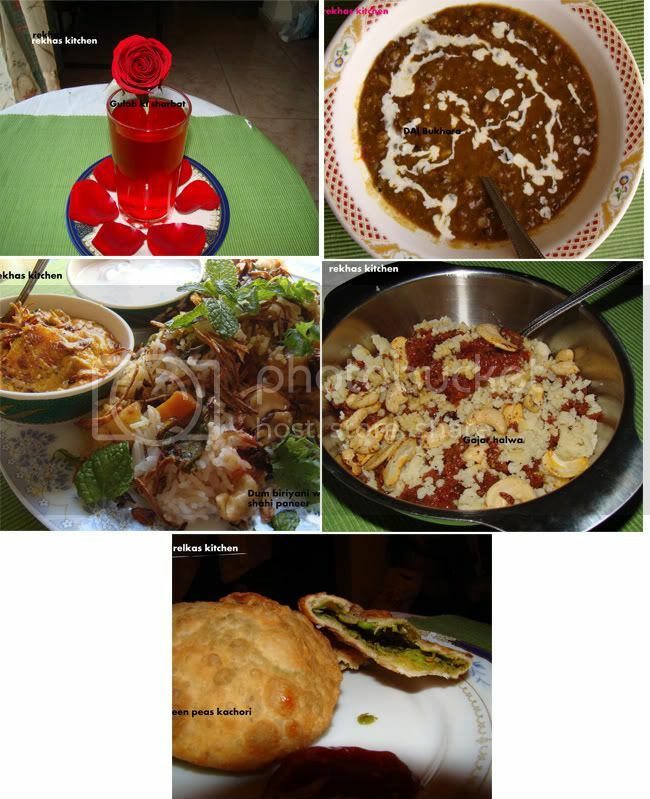 Great collection of rich nawabi recipes. Hope you get better soon...great roundup, everything looks inviting! Great Blog I will definitely bookmark your blog. 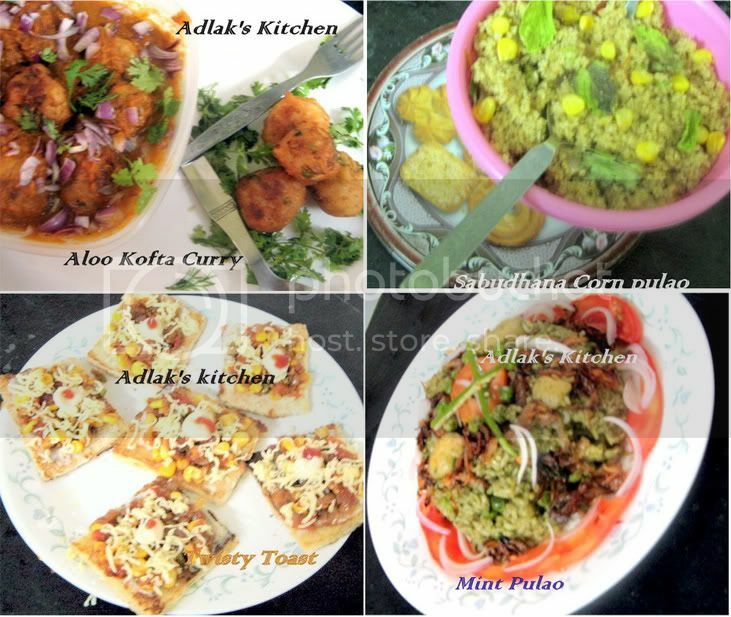 I am also having a blog related to food http://foodmarketnews.blogspot.com/which gives latest analysis and trends in Food industry in the present recession period. I would appreciate if you could kindly bookmark my blog too.